The Cuisinart STL-611 maker offers you a fast, easy way to make that delicious marshmallow, chocolate and graham cracker treat right in your oven, toaster oven or on your grill. No more dirty campfires and burnt marshmallows. This innovative treat-maker allows you to make 6 tasty S'mores in just minutes. 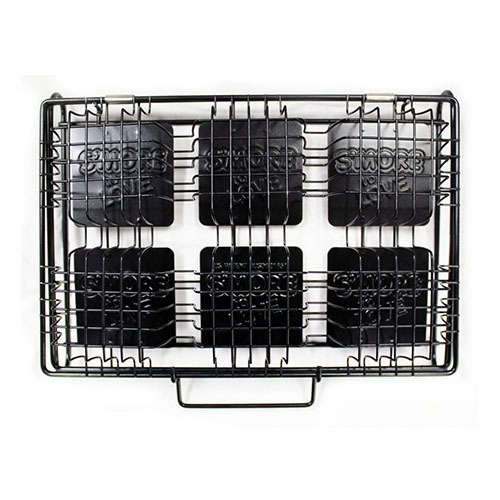 Simply stack, lock and place on grill or in oven and be the hit of any barbecue, picnic or party. The Cuisinart S'more to Love S'more Maker has many exciting features for users of all types. 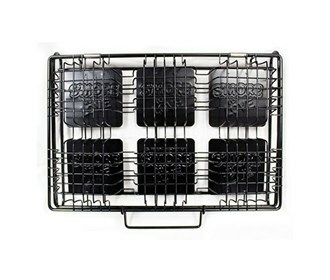 See the Cuisinart S'more to Love S'more Maker gallery images above for more product views. The Cuisinart S'more to Love S'more Maker is sold as a Brand New Unopened Item.